느시는 일명 들칠면조라고도 부르는 새이며, 스페인으로부터 동아시아까지 불연속적으로 분포한다. 몸길이는 수컷이 102㎝, 암컷이 76㎝ 정도로 수컷이 훨씬 크다. 수컷은 뒷목에서 가슴부위까지 다갈색이고 암컷은 회색이다. 수컷 가슴에는 밤색 띠가 있으나 암컷은 없다. 부리는 황갈색이고 꼬리는 검은색을 띤 갈색에 가늘고 검은 가로무늬가 있으며 배는 흰색이다. 주로 광활한 평야나 농경지, 키가 작은 잡초지 등에 둥지를 틀고 2∼3개 정도의 알을 낳는다. 성격은 경계심이 강한 편이다. 한국전쟁 전까지도 우리나라에서 흔히 볼 수 있는 겨울철새였으나 현재는 찾아보기 어려운 새가 되고 말았다. 느시는 세계적으로도 약 20,000마리 정도 밖에 남지 않은 진귀한 새이므로 천연기념물로 지정·보호하고 있다. 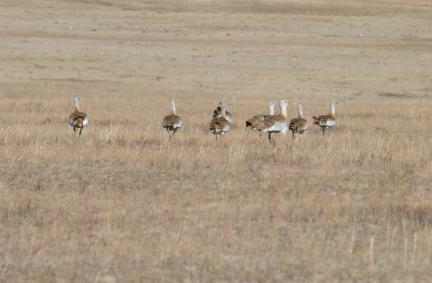 A great bustard is also called a wild turkey. 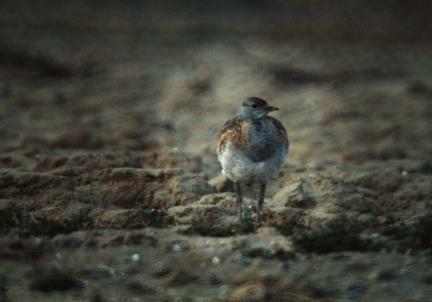 This bird discontinuously ranges from Spain to East Asia. In terms of body length, the male bird is 102cm long, whereas the female bird is 76cm. 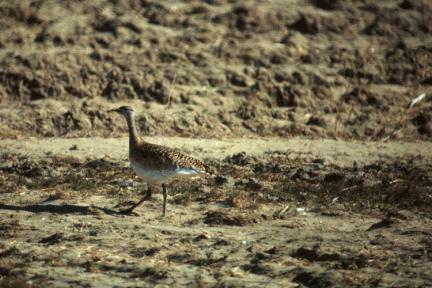 The male bird is light brown from the nape to the chest, whereas the female bird is totally grey. The male bird has a chestnut-colored strip on the chest, but the female bird has none. The bill is yellow-brown, and the tail is brown mixed with black. This bird has a black, thin horizontal design, and the belly is white. 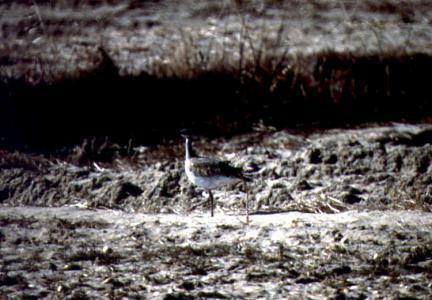 This bird mostly builds a nest in an open field, a farm land, or a short, weedy land and lays 2-3 eggs. This bird is very cautious in character. Before the Korean War, it was a winter migrant that is often seen. Now, however, it is difficult to find. 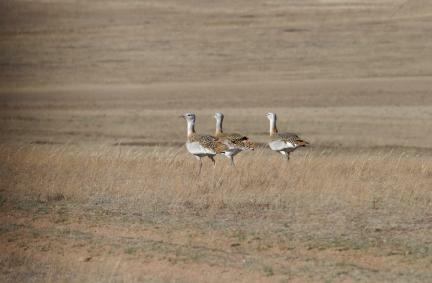 The great bustard is a rare bird with only about 20,000 remaining in the world, and it is designated and conserved as a Natural Monument for its biological value.